What I'm holding is the reed plate. This is the accordion's sound source. This multimedia presentation’s main goal is to provide the accordionist the necessary tools to help him better understand his instrument. Thanks to the bigs animated slides projected on a giant screen, to the audio illustrations and films, the amateur will know better how to choose his first instrument according to his musical taste and the more advance accordionist will better understand the different tuning types and will have the necessary vocabulary to express his preference as to the sound he is searching for. Even the more adventurous who dare trying to repair or tune their own accordion will benefit from this presentation. On the other hand, accordion enthusiasts will be delighted by the vintage photos accompanied by audio excerpts and will benefit from added historical, general and anecdotal knowledge. Thanks to my long term experience on stage, my conference is entertaining as well as instructive. I started music on the accordion at 8 years old. At 14, started my apprenticeship on the piano. Accordionist for Plume Latraverse (a well known rock and roll Quebec artist) since his debut in 1970, he is the one who introduced me to the musette accordion style. For me, the Parisian musette represent the ultimate repertoire for the accordion. For this presentation I often use the books of M. Pierre Monichon. 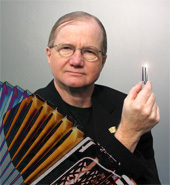 Pierre Monichon is a reference for the history of the accordion. M. Monichon as acquire over the years a huge collection of old historic instruments and numerous instruments from his collection are present in museums like Le Pôle de l’Accordéon of Tulle in France, Montmagny’s Accordion Manor and Castelfidardo’s Museo della Fisarmonica in Italy (Castelfidardo is the world’s accordion capital). I had twice the pleasure to meet M. Monichon; at Montmagny’s Carrefour Mondial de l’Accordéon and at the European Accordion Festival in Chartres, France. He invited me to his place where we had good discussions and I was delighted to be in contact with historic instruments from his collection and especially Demian’s second accordion. Robert Santiago is another person who contributes much to the transmission of knowledge of the accordion thanks amongst other things to his collection of rare objects appending to accordion and his group “Le Denécheau Jâse Musette à Paris” that recreates the typical musette band of early twentieth century in Paris. Like me, he also give workshops, conferences and special accordion animations. Science exist to explain things. In studying physic phenomenons, one realizes that reality is often simpler than we believe it is. For every observed phenomenon there is a simple explanation. For example, what are the two main reasons for which the professional painter’s uniform is white? To get the answers, hover your mouse on the question mark without clicking it. It’s also important to remember the first science’s rule: “Nothing is lost, nothing is created” Everything is transformation of the energy or the material. 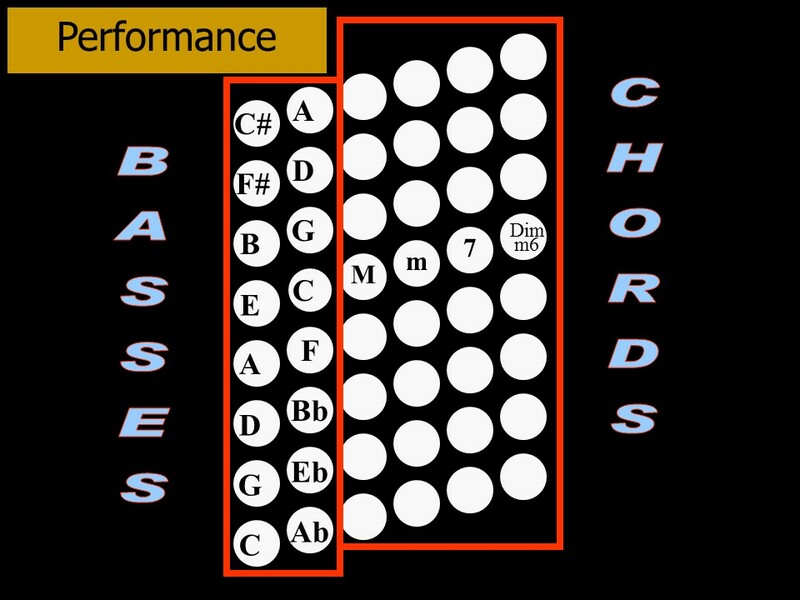 During this one hour and a half presentation, I will help you understand your accordion with simple and concrete examples and please don’t hesitate to ask questions on the current subject. After this presentation you will know for instance where the accordion comes from and where it got its name from. 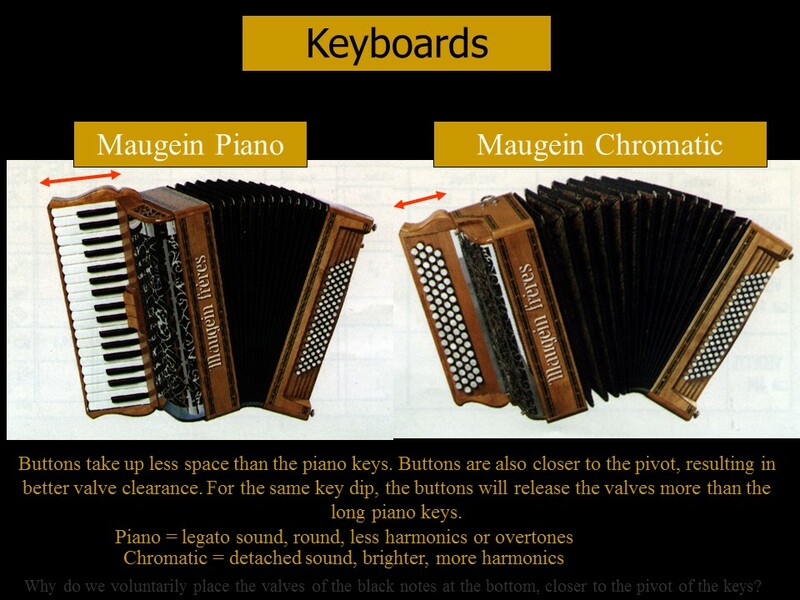 You will understand why your accordion has a different sound from the other models. 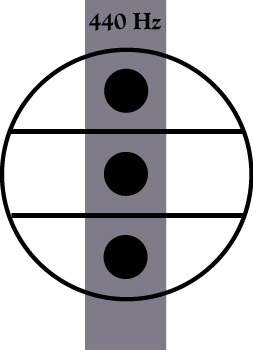 You will also have the tools and the necessary language to express your sound preferences to your accordion tuner. Knowledge is power. A brief historic run true illustrating the most important stages of its construction is necessary for a complete understanding of the accordion. Where did it take its name from? Where does the musette (the style) comes from? What is la musette (the instrument) ? The different types of accordions, why do they sound different? The most important discoveries that contributed to bring the accordion to today’s standard, etc. Along the way, I will introduce now and then some musette history highlights since it is my specialty. With vintage photos and audio examples, you will be transported into the world of Parisian’s Bals Musettes from the last century. 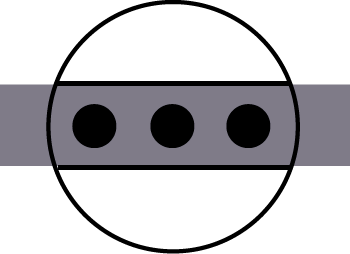 All slide is accompanied by a sound example to illustrate its purpose. For example, the concertina is accompanied by an excerpt from Brian Peters' album. I approach in simple terms the physics of sound most useful to the accordionist. How does the human ear perceive sound and what are its defects? 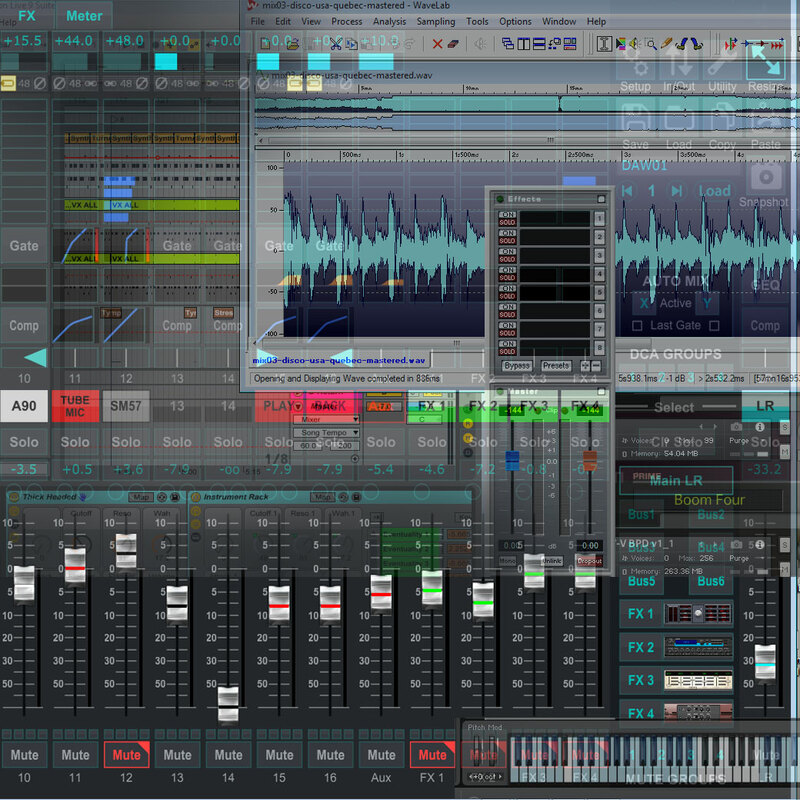 What is sound, amplitude (intensity), dynamics, harmonics, frequencies, beats? Other examples of graphs to explain registers. 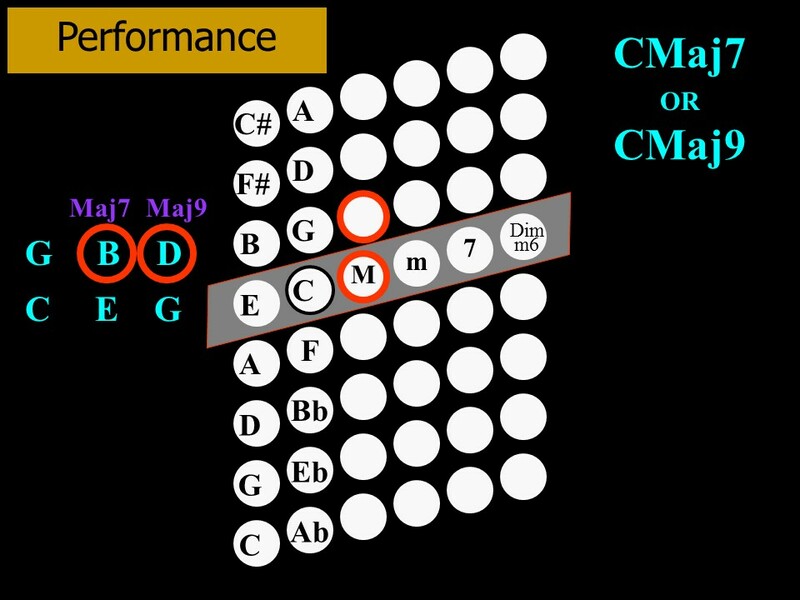 440 hz The fixed region, the region of variations, etc. 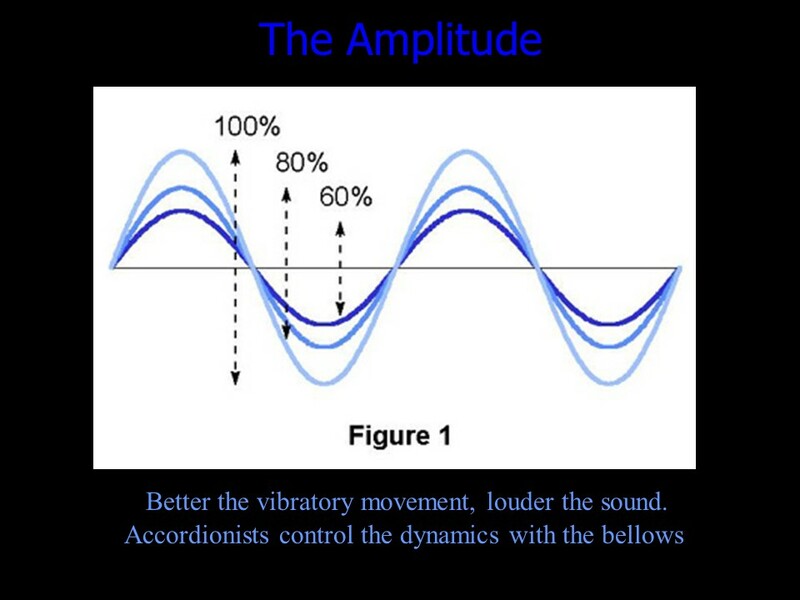 It is in this section that will be explained the factors that influence the sound of the accordion. 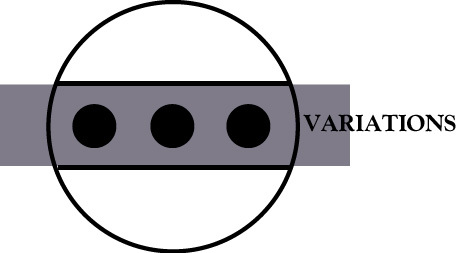 The different shapes of accordions that have a direct influence on their sonority. I will share with you the essentials of my stuff for a performance that takes full advantage of the possibilities of the accordion. If time permits, I will give an overview of the new technological developments pertaining to the accordion and help you sort things out. 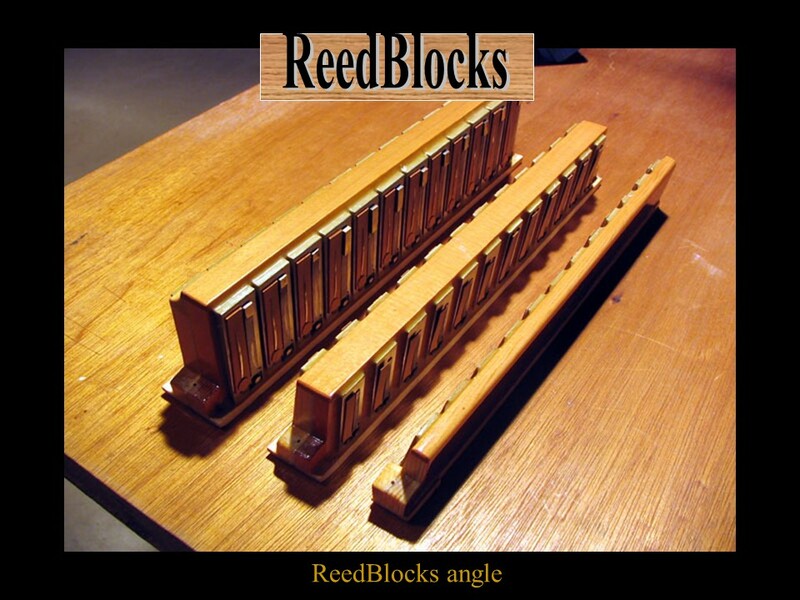 Amplification, Sound Systems, Wireless Systems, MIDI, Software, Sound Modules, Synthesizers, "ReedLess" (without music), the (all in one) from Cavagnolo. The more knowledgeable is my audience, the longer the conference can be and I can adapt it to a wider audience. Normally, two 40-minute periods separated by an intermission plus 30 minutes at the end for the question period are sufficient. I can take care of the all technical details otherwise, I need a sound system adapted to room size with ideally a wireless headset and a projector of 2000 Lumens that I will connect to my laptop.